TradeWorks is a business to business network where members trade their product or services for other product or services viable to other businesses, using trade dollars rather than regular cash. TradeWorks, the company handles all of the accounting and is completely computerized so our members can see what is available on a daily basis. Our trade brokers also help in facilitating trades to help our members save and conserve cash. At TradeWorks we understand the importance of bringing on new members as well as increasing the purchasing power of the existing memberships. 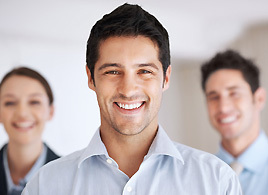 TradeWorks prides itself on providing broker driven, hands-on customer service to its members. Though the company utilizes the internet as a communication tool, the company is still dedicated to providing real, live, and knowledgeable brokerage support to all its members. As a result, TradeWorks membership base has continued to grow exponentially since its inception. TradeWorks superior customer service has fostered increased visibility within the barter industry. The company continues to grow its membership base by expanding geographically into neighboring regions. As TradeWorks grows, the company is determined to do so in a manner that respects the integrity of its members and provides the highest possible level of professionalism so as to continue to command respect inside, and outside of the barter industry. Help Promote Your Service; Introduce you company to a large network for trading business to business. Business Development; help develop a plan to utilize TradeWorks web interface to communicate with other members.